The first signs of a global gold shortage? We learn today that one of the world’s largest banks has broken its promise to offer its clients physical gold upon demand. 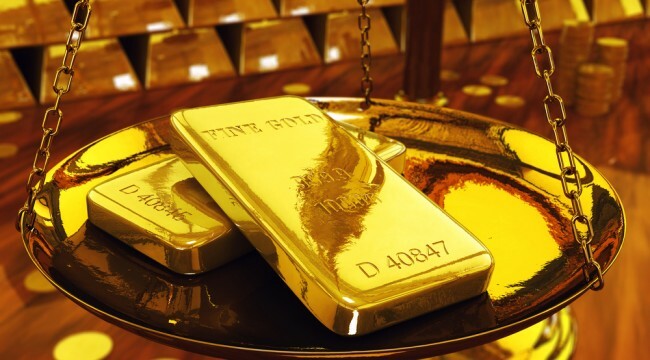 [Financial institutions] have created enormous volumes of “gold products” that are not gold. These are paper contracts… There is some gold somewhere in the structure, but you don’t own it — you own a share. Even the share is not physical; it’s digital. If too many customers claimed physical gold at once, the bank can terminate the contract and simply provide the counterparty with cash at the closing price as of the date of termination. The customer would get a check at that closing price, but they’re not going to get the actual gold. The sponsors or the exchanges or the banks, whoever is behind it, will exercise termination clauses and you won’t actually get your gold. These investors who want physical gold would have to cash in their shares and buy it elsewhere. And now that a large group like Deutsche Bank is refusing to satisfy its clients’ fairly limited demands for physical gold… does it suggest a much larger gold shortage? According to Jim’s top contact in the gold industry, “Goldfinger,” gold shortages are already a reality. This fellow is head of the world’s largest gold refinery in Switzerland. And he can’t find the gold to keep up with demand. The cupboards are bare. Maybe Deutsche Bank — and remember it’s Xetra-Gold’s redemption agent — suspended redemption because it’s been deluged with paper gold investors wanting to cash out for the genuine article? We can’t say. TheWall Street Journal reported the other day that Germans are stocking up on home safes to hoard cash, rather than leaving it in the banks. That’s because they’re worried about being socked with negative interest rates. The Japanese have done the same thing. They’ve also been buying gold by the bushel. And the Germans prefer cash, anyway. According to a 2014 Bundesbank survey, some 80% of German retail sales are transacted in cash. That’s nearly double the U.S. rate of 46%. Many Germans recall the Nazi and, later, East German totalitarian regimes that spied on every aspect of their lives. Cash — and hard money like physical gold and silver — have great appeal to them because it’s anonymous. It leaves no footprint. Below, Jim Rickards shows you why the gold shortages hinted at above are leading to a gold “super-spike.” And how it can make savvy investors fortunes in the months and years ahead. Read on.